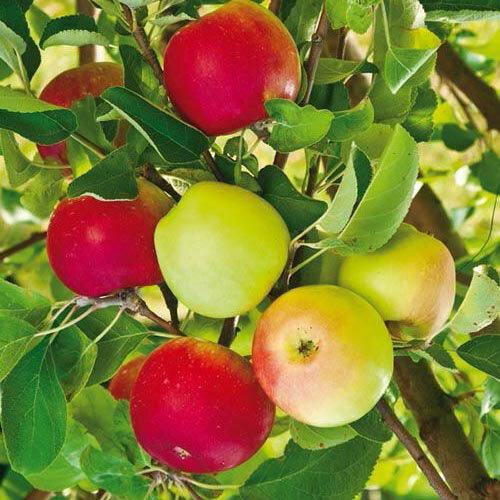 Enjoy apple season longer with the Double Delicious 2-IN-1 Apple Tree. This grafted tree produces Liberty and Sundance™ apples. Ripening first in early October is Liberty. The medium-to-large fruits are mildly tart and shiny, with a red blush. Liberty apples are excellent for fresh eating, juice and sauce. Maturing in mid to late October is Sundance. The large fruit has porcelain to yellowish-green skin, often with a red blush and creamy white flesh. The fruit's popping-crisp texture is ideal for fresh eating and pies. Liberty and Sundance pollinate each other and are disease resistant. Trees grow 10-15 ft. tall. Plant in full sun. Zones 5-8. LightNeeds full sun for maximum flower and fruit production. Flower FormWhite, showy, fragrant blossoms. FruitLiberty- Medium to large, bright, shiny fruit with red blush. Sundance- large porcelain to yellow-green fruit often with a pink blush. Soil RequirementsWell-drained, moderately fertile, slightly acidic soil. Tolerates average garden soils, but un-amended heavy clay soils with poor drainage should be avoided. PollinatorSelf pollinating. Liberty and Sundance. CommentsSpecial considerations: Apple trees are grafted. 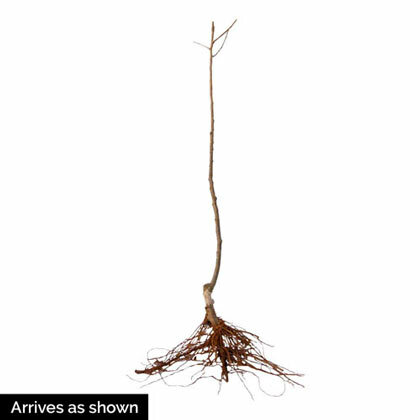 Mix generous amount of organic material 15 - 18 inches into soil before planting. Seeds are a good indicator of ripeness, white if fruit is immature & brown when fruit is ripe. Fruit should part from the stem easily as well. If storing over-Winter, select unbruised & blemish free fruit. Water trees deeply in hot, dry, windy weather. After 1st yr. Fertilize with 12-12-12; 1lb. per tree. Feed in early Spring before new growth starts. It is very important to not over-fertilize. Avoid high nitrogen fertilizers. YieldStandard: Approximately 6 to 8 bushels at maturity.